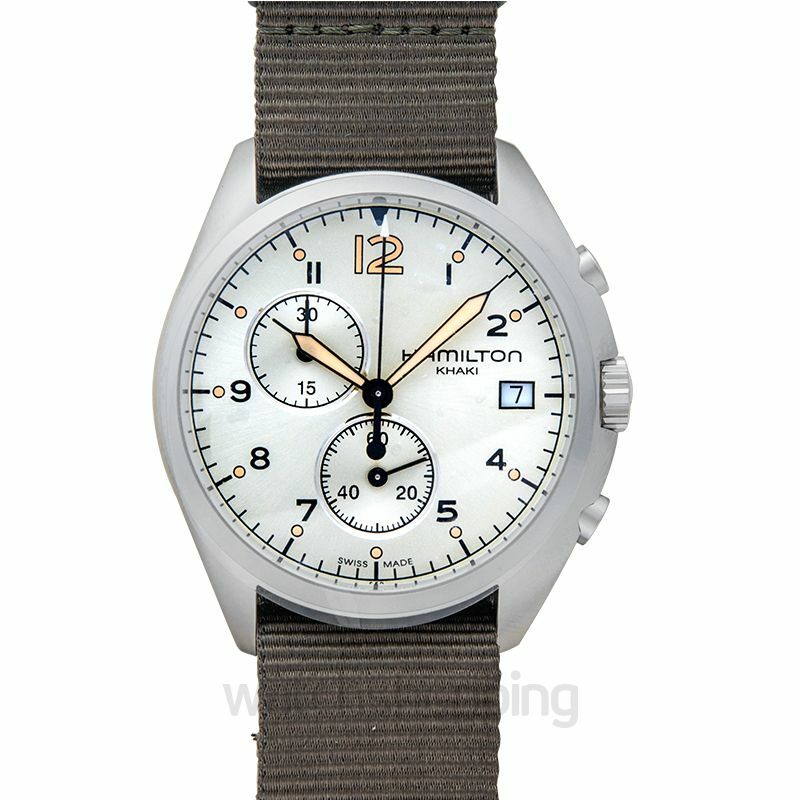 The Hamilton Pilot Pioneer Chronograph H76552955 is a chronograph watch that is a must-have to complete your collection. 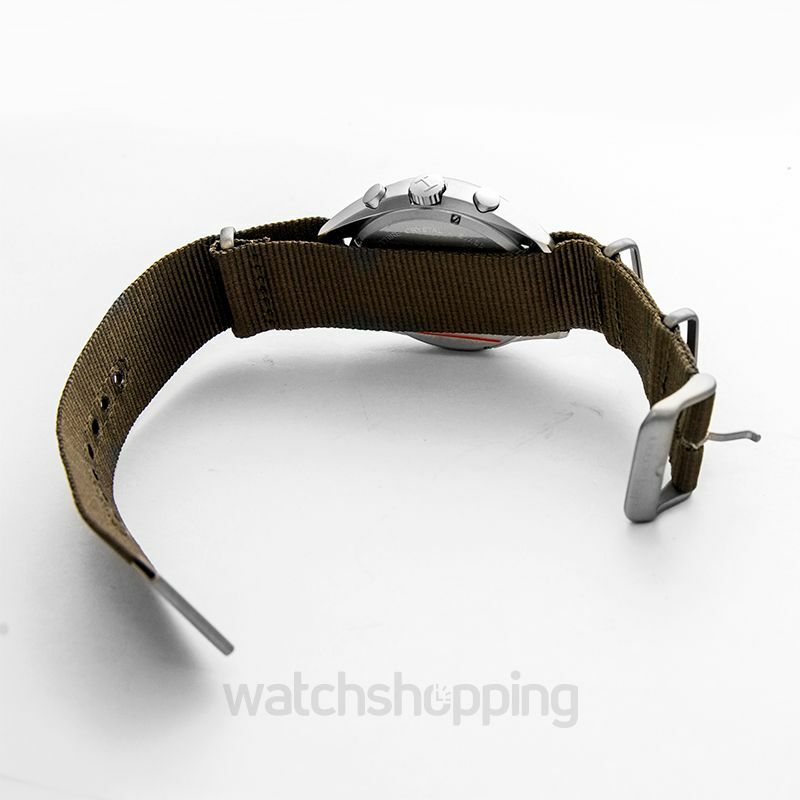 It features a stainless steel case measuring 41mm and is fitted with a unique silver dial with luminous hands. It has two subdials inside that display 60 seconds and 30 minutes. 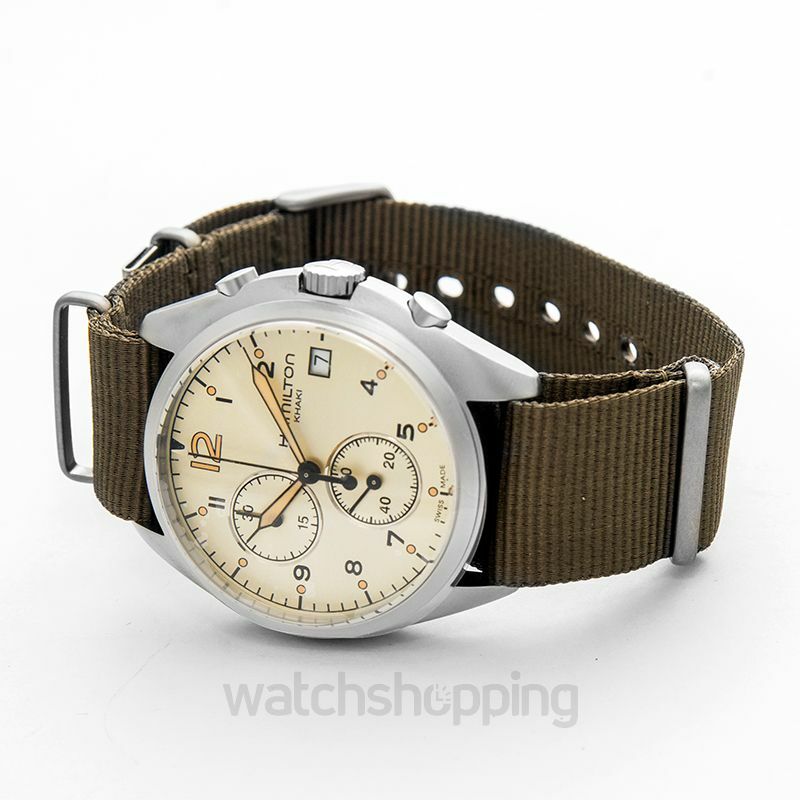 The chronograph watch also features a date display at the 3 o’clock position. The watch is bound to last you a long time with its water resistance and scratch resistant sapphire crystal cover. 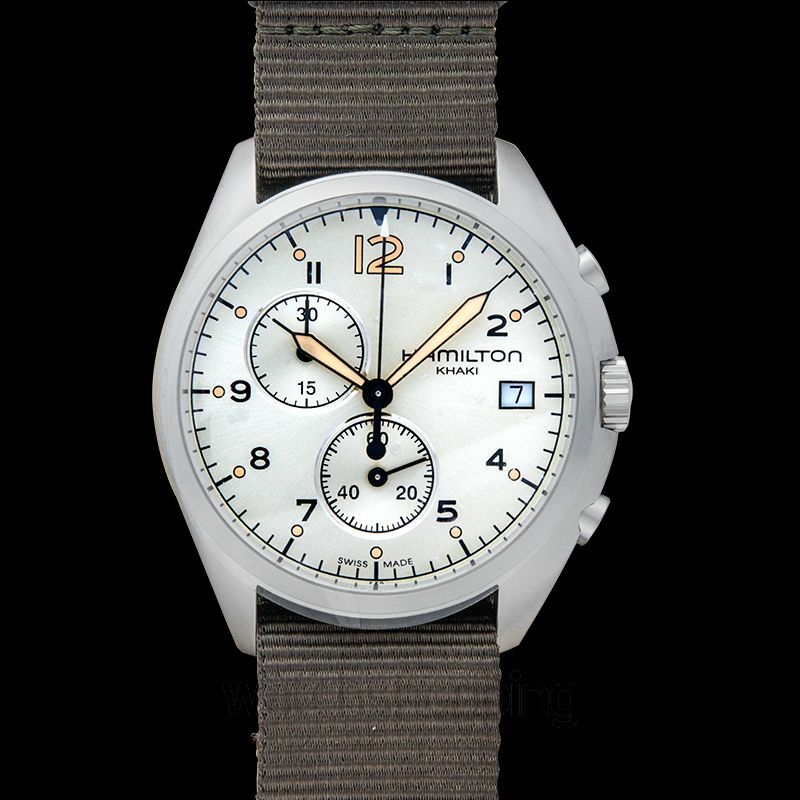 Equipped with the best quartz chronograph movement, the timepiece will be the perfect addition to your collection.